It is considered one of the toughest hill climbs in the world: The race to the finish line on the summit of Pikes Peak in the Rocky Mountains – 4,301 metres above sea level. This year saw Porsche launch its own one-make class, while Pikes Peak legend Jeff Zwart attended the race as a coach. 156 bends, a 19.99-kilometre course and a finish line 4,301 metres above sea level – held annually near Colorado Springs since 1916, the Pikes Peak International Hill Climb is one of the oldest car races in the world. And one of the toughest. No crash barriers and basically no margin for error, with craggy rock faces descending into nothingness alongside the narrow track – it’s these things that make the race to the summit so captivating. This race pushes the driver to the very limit: The higher you go, the thinner the air becomes. Gaining more than 1,400 meters of altitude in about ten minutes takes its toll on both man and machine – and where there is low air density, engine power reduces drastically, by up to 30 per cent. Less power, less grip and changes to the tyre and engine temperatures the further you travel up the mountain – an appealing challenge for racing drivers. 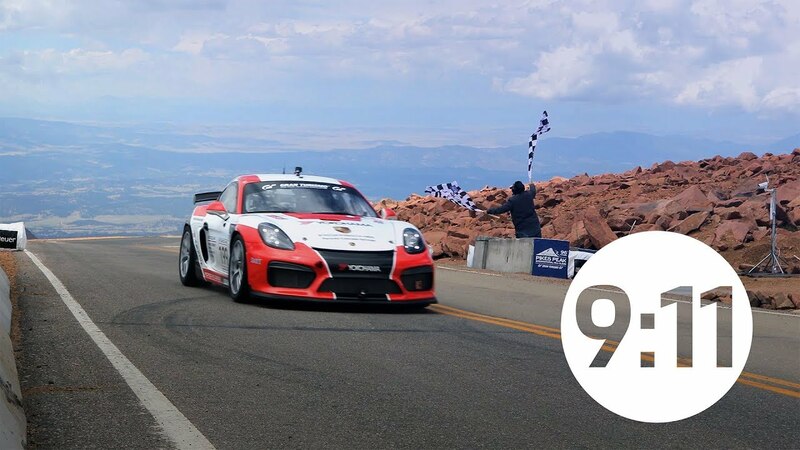 The 96th Broadmoor Pikes Peak International Hill Climb 2018 saw a world-first, as Porsche became the first manufacturer to host its own one-make class. Eight drivers were invited to compete for the Porsche Cayman GT4 Clubsport Pikes Peak Hill Climb Trophy by Yokohama. All but two of the drivers were complete “Race to the Clouds” newbies, while for some the practice runs were the first ever time they had driven a Porsche GT4 Clubsport Cayman. Among the participants were motocross champion, X Games winner and stunt performer Travis Pastrana, former professional baseball player CJ Wilson and IMSA driver Till Bechtolsheimer – a famous face in each and every cockpit. The driver line-up represented the “perfect cross-section of Porsche customers and partners”, Daniel Armbruster, CEO of Porsche Motorsports North America. The drivers racing in the new Porsche class were coached by Pikes Peak legend Jeff Zwart. The commercial film director and racing driver took part in the famous hill climb a total of 14 times, achieving eight class victories and multiple records in the “Time Attack” division. All of his victories were achieved in variants of the Porsche 911. Zwart decided not to race himself this year in pursuit of a potential ninth win so that he could share his extensive experience with the Porsche Cayman GT4 Clubsport drivers and support them throughout the practice runs and the race. Jeff, when did you enter the Race to the Clouds for the first time? The first time I ran Pikes Peak was in 1994 in a Porsche, and it was a very intimidating place. There are huge drop-offs over the edge on many of the corners. There are sections of the road that look identical, yet they’re different, and the consequences of getting it wrong are huge. I had seen many films on the race before, but driving it was completely different. Which Porsche did you drive in 1994? I was running the U.S. ProRally Champion­ship in a 3.8-powered 964 Carrera RSR. We put a 550-hp turbo engine in it—which meant the same car suddenly had almost 250 hp more. It was so quick, and I loved driving it with all that power. We ended up winning the open class that year. What is special about this hill climb? After a week of practice, there is only one chance to race up the mountain. It all boils down to one run. You push everything to the limits: the engine temperature, the tire wear, and your own body with the thin air. The mountain is one big living organism. It can be warm and sunny at the bottom, but snowing up at 4,000 meters. You never know what that one run will be like. What would you say are the make—or—break parts of the race? The top section is superfast, and it has three blind left-hand curves. There are no trees at that altitude so your turning points are against the sky. It takes a lot of commitment up there, and it really separates the people who can drive like that from those who can’t. The top section pretty much tests everything. 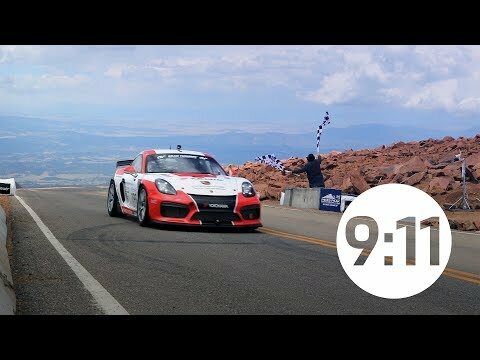 Why is a Porsche precisely the right car for you on Pikes Peak? When I get into a Porsche, it feels like I’m wearing the car. It feels so natural that it could just be an extension of myself. That’s exactly the feeling you want—a car that is part of you. How do you prepare yourself mentally for the race? I have a little ritual. I make one last drive up the mountain. I can’t go to bed the night before without taking my rental car up to the summit for one quick look. Hill climbing or circuit racing: Which one do you think is harder? Pikes Peak is particularly difficult. I don’t want to take anything away from circuit racing, but I have done enough road racing to make that call. With 156 turns, there is always more to learn. And at the speed we do now—235 km/h on a two-lane road with hardly any guardrails—the risk is high. And then there’s the pressure to perform. You have only one run. It’s 10 minutes and 20 kilometers of insanity. He also talked about the pressure: You only have one attempt to show what you can do. It is ten minutes and 20 kilometres of utter madness. Find more fascinating insights into this cult race, historical images and background information in the current episode of 9:11 Magazine, “On the road”. Episode 8 of the 9:11 Magazine is on the road. See a selection of rare Porsche models.